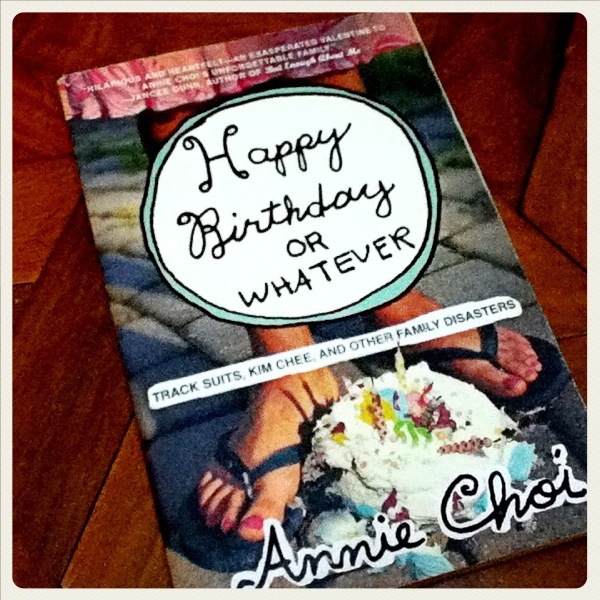 I’m halfway through Annie Choi’s “Happy Birthday or Whatever”, which I bought for only Php 45 at BookSale. Choi belongs to a Korean family who lived in the U.S. Reading this book feels like visiting their home and meeting her family. Choi’s humorous approach in writing is mostly what makes this a very entertaining read. I’m pretty sure a lot of us can relate to her relationship with her mother, for I too, can very well relate. Choi makes me realize how much I love my mom despite her wanting and expecting me to be at my best all the time. A definite must-read.